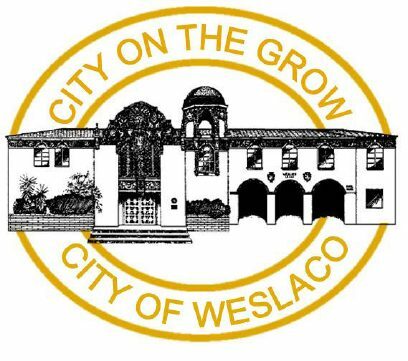 WESLACO — The City Commission this month approved a budget of about $55 million, postponing plans to build a new fire station and preparing for additional drainage improvements. Compared to last year, some home and business owners in Weslaco may see a decrease on their property tax bills, due to a decline in flood-damaged property values. City Manager Mike Perez said additional growth within the city may offset the anticipated $106,878 decline in property tax revenue this fiscal year. The flood damaged at least 2,500 homes and 100 businesses in June. The City Commission also voted unanimously to keep the property tax rate at .6667 cents per $100 valuation. The average homeowner will continue to pay about $600 in city property taxes. The city draws in nearly as much sales tax revenue as property tax, according to the 2018-19 fiscal year budget. The city expects to collect about $9.2 million in sales tax revenue. Perez and department heads met with the city commission in August for a series of budget workshops. The city commission turned the focus to drainage improvements as a result of June’s flood, which affected about 25 percent of residents. “Drainage has emerged as an urgent priority that has not been sufficiently addressed in our community,” Perez wrote in a letter addressed to the city commission, adding that a drainage capital investment fund was created this fiscal year. Monies in the account will solely be used for drainage projects. Perez suggested the city commission discuss and consider a “nominal monthly fee,” added to water/sewer bills, for future drainage projects. If approved, the fees collected would go into the drainage capital investment fund. In addition to drainage, the city budgeted to hire six additional police officers, who will work at campuses within the Weslaco school district. The school district will pay for 75 percent of their salaries. The new officers, who will be placed in high and middle schools, will have prior law enforcement experience, police Chief Joel Rivera told the city commission during a budget workshop. The city and school district will also hire a case manager to handle the planned first-offender program designed to keep juveniles charged with non-violent crimes out of the jail system. The city and school district will split the cost of the case manager’s salary. The budget also calls for a part-time bailiff to be hired for the municipal court. City administration this fiscal year will also work toward paving four miles of roads and installing a hike and bike trail at Northside Park, according to the budget. While a new police station isn’t in the city’s financial plan this fiscal year, administration is set to place the current station on Airport Drive up for sale and design a new one. The city will temporarily hold off on building the northside fire station. “The budget demonstrates our commitment and ability to self-fund improvements and invest in capital outlay in a measured, sensible manner over the next fiscal year,” Perez wrote in his letter to the mayor and commissioners. The start of the new fiscal year began Monday.